Vitae Global launched in early 2017 and operate in the coffee MLM niche. The company is based out of Wyoming in the US and headed up by co-founders Jim Britt and Louis Volpe. Jim Britt first popped up on BehindMLM’s radar as co-founder of Quanta in 2013. Quanta was a personal development MLM opportunity that saw affiliates gift each other fees under a “100% commissions” business model. Launched in late 2013, Quanta collapsed within a year. began his entrepreneur career in the network marketing industry over 40 years ago. He has built large distributor organizations and consulted, trained and served as a performance expert with more than 300 network marketing companies. 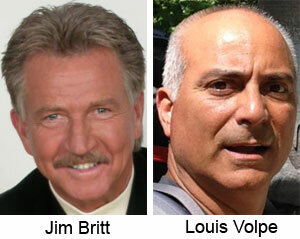 Louis Volpe’s corporate bio credits him as Vitae Global’s “Product Sourcing Specialist & Formulator”. Louis Volpe has been a leader in the nutritional supplement and Network Marketing Profession for over 30 years. As Lead Formulator and President at Advanced Labs, Louis is able to bring together locally sourced ingredients from around the world to create cutting edge products that produce real results. Advanced Labs LLC own the Vitae Global website domain through an address in California. 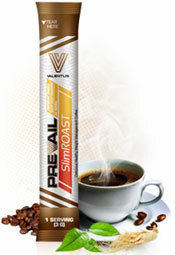 In addition to co-founding Vitae Global and manufacturing its product line, Advanced Labs LLC also manufacture Valentus’ “SlimRoast” line of coffee products. Read on for a full review of the Vitae Global MLM opportunity. Vita Global market a combination of “Lean Java Bean” and personal development. Lean Java Bean is available in a box of thirty single-serve sachets for $59.95. The Vitae Global compensation plan is a mix of retail sales and affiliate recruitment focus. 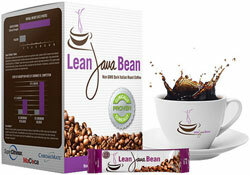 Vitae Global affiliates are paid $30 per box of Lean Java Bean they sell to retail customers. There is no mention of retail commissions paid on the sale of the Personal Growth Series. The Customer Acquisition Bonus rewards Vitae Global affiliates who sell Lean Java Bean to preferred customers (retail customers on monthly autoship). When a Vitae Global affiliate makes a retail sale, they receive the Customer Acquisition Bonus as per the above qualification criteria. If the affiliate has less than twenty preferred customers, they are paid their applicable percentage and the rest rolls up to the first qualified upline. This upline is paid as per how many preferred customers they have, with the rest (if applicable) passed up until an affiliate with twenty preferred customers is found. If a Vitae Global affiliate doesn’t have at least two preferred customers, they don’t receive a Customer Acquisition Bonus (the whole 20% is passed up to the first qualified affiliate). If a Vitae Global affiliate signs up with an affiliate package, the affiliate who recruited them is paid a recruitment commission. Each Vitae Global affiliate package generates a Builder Code Bonus. If an affiliate signed up with an affiliate package, they are potentially paid a Builder Code Bonus when a newly recruited affiliate signs up with a package anywhere in their downline. How much of the bonus a Vitae Global affiliate is paid is determined by which package they themselves signed up with, as well as specific Builder Code Bonus rank qualification criteria. To qualify at the Manager Builder Code Bonus rank, a Vitae Global affiliate must sign up for 100 PV autoship, recruit at least two affiliates and have a total minimum downline of four affiliates. To qualify at the Regional Manager Builder Code Bonus rank, a Vitae Global affiliate must sign up for 120 PV autoship, recruit at least four affiliates and have a total minimum downline of 20 affiliates (no more than eight counted from any one unilevel leg). To qualify at the National Manager Builder Code Bonus rank, a Vitae Global affiliate must maintain 120 PV autoship, recruit at least seven affiliates and have a total minimum downline of 100 affiliates (no more than forty from one unilevel leg and twenty from two other legs). 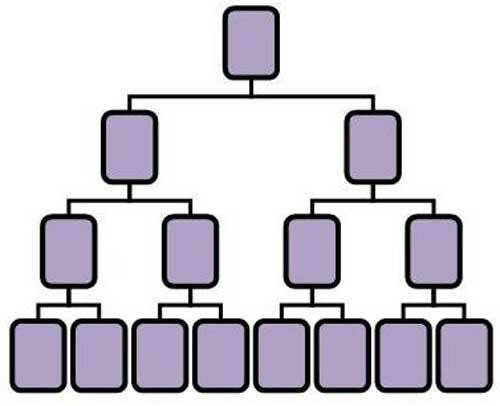 To qualify at the International Manager Builder Code Bonus rank, a Vitae Global affiliate must maintain 120 PV autoship, recruit at least ten affiliates and have a total minimum downline of 500 affiliates (no more than one hundred and fifty from one unilevel leg and one hundred from two other legs). To qualify at the Corporate Manager Builder Code Bonus rank, a Vitae Global affiliate must maintain 120 PV autoship, maintain at least ten personally recruited affiliates and have a total minimum downline of 2500 affiliates (no more than seven hundred and fifty from one unilevel leg and five hundred from two other legs). With respect to “up to” bonuses, the maximum is always paid out. If the recruiting affiliate isn’t a Corporate Manager, they receive their share of the Builder Code Bonus and the rest is “passed up” to a higher qualified upline affiliate. In this manner the entire Builder Code Bonus is paid out sequentially until an eventual Corporate Manager Entrepreneur Package affiliate is found. Vitae Global’s residual binary commissions are paid out on first order volume sales of Lean Java Bean. Lean Java Bean box purchases (both by retail customers and recruited affiliates) are tracked weekly on both sides of the binary team. Each Lean Java Bean purchase generates 50 GV. When GV is matched on either side of the binary team at a ratio of 400:200 GV, a $40 cycle commission is paid out. A matching bonus of 25% is paid on residual binary commissions paid to personally recruited affiliates and affiliates they recruit (2 levels). Residual commissions after a retail customer or recruited affiliate’s first order are paid out via a unilevel compensation structure. To qualify for residual unilevel commissions, a Vitae Global affiliate must generate 50 PV a month and have two preferred customers (retail customers on monthly autoship). The Leadership Generation Bonus allows a Vitae Global affiliate to earn residual unilevel commissions beyond the initial nine available levels. To qualify for the Leadership Bonus, a Vitae Global affiliate be qualified to earn commissions on all nine unilevel levels (Director qualification). Unilevel team GV is counted at a rate of up to 50% from the largest leg, 20% from the second largest and 10% from the third to fifth largest. Although not explicitly clarified in the Vitae Global compensation plan, I believe the Leadership Generation Bonuses stack (an International Director earns the percentage bonus from the lower three ranks etc.). There are two Fast Track Bonuses a Vitae Global affiliate can qualify for within 21 days of signing up. If an affiliate signs up with an Entrepreneur Package themselves and exclusively recruits Entrepreneur Package affiliates, both FTB1 and FTB2 bonus payments are doubled to $200. Note that a Success or Entrepreneur Package purchase is mandatory to qualify for the 21 Day Fast Track Bonus. The Lifestyle Bonus is a $200 to $5000 bonus paid upon affiliate rank qualification (residual binary). Specific details are not provided in the Vitae Global compensation plan documentation at the time of publication. The Lifestyle Car Bonus is a monthly bonus of $500 to $1000 per month, paid to Diamond or National Director ranked affiliates. Again, specific details of the Lifestyle Car Bonus are not provided in the Vitae Global compensation plan. Basic Vitae Global affiliate membership is $30. All affiliate packages include the $30 basic affiliate membership fee. The Entrepreneur Pack also comes with access to a “Vitae Travel Club” and ‘ticket to private training with Jim Briss in Las Vegas‘. The training is self-explanatory but there’s nothing about a travel club on the Vitae Global website, so I’m not sure what that’s about. Vitae Global’s compensation plan has some pretty strong retail incentives. The retail commission alone is roughly 50% of the cost of a box of Lean Java Bean. The Customer Acquisition Bonus is an additional 20% reward, based on preferred customer orders. Preferred customers equals repeat business (monthly autoship), so encouraging focus on acquiring them helps to build a strong core business. Unfortunately all of this is let down by an equally strong focus on affiliate recruitment and pay to play. Your BBP (affiliate package) purchase determines your Status – the amount of code bonus you are eligible to receive. The notion that Vitae Global’s affiliate packages are optional is a mirage. If you don’t buy a package, you’re locked out of a significant portion of the compensation plan. That means less money in commissions, which makes the purchase of an affiliate package mandatory if a Vitae Global affiliate wants to maximize earnings. The affiliate packages are bundled with Vitae Global product and alone aren’t a problem. Paying recruitment commissions and tying the packages to pay to play bonuses however are major compliance issues. Recruitment commissions alone are enough to drag Vitae Global into pyramid scheme territory. The residual recruitment commissions are even worse. Vitae Global’s residual recruitment commissions force an affiliate onto autoship and then, based on which package an affiliate themselves purchased, rewards an affiliate solely on the recruitment of new package-purchasing affiliates. This is quite obviously pay to play, with how much a Vitae Global affiliate spends on their own package directly impacting their residual recruitment commission rate. MLM commissions should always be a result of individual and/or group sales performance, not how much an affiliate spends when they sign up as an affiliate. Sign up with an Entrepreneur Package, sign up for affiliate autoship (mandatory for rank advancement and residual recruitment commissions), and recruit other Entrepreneur Package affiliates. And if you can’t afford an Entrepreneur Package outright, don’t worry – “package upgrades” are available for when you do have the money. This makes Vitae Global’s aforementioned retail commissions and bonuses look like an afterthought. And quite obviously, even with the incentives, retail isn’t really going to be a focus here (beyond the minimum 2 preferred customer requirement for some commissions). Speaking of afterthoughts, there’s no mention of Vitae Global’s Personal Growth Series in their compensation plan. Do affiliates even get paid for selling the personal development product? It doesn’t seem like it, and so I’m thinking nobody except Entrepreneur Package affiliates will be buying the courses, and only because an Entrepreneur Package is required to max out available commissions. I’m not knocking the content of Jim Britt’s personal development courses, but it doesn’t seem like much has changed since Questra launched. It’s almost as if Britt has a stable of courses he can attach to any opportunity. As to Lean Java Bean, the active key ingredients are Super Citrimax and ChromeMate. According to InterHealth, the manufacturer, Super Citrimax is a ‘a patented, 60% hydroxycitric acid (HCA) water extract from Garcinia cambogia‘. InterHealth also manufacture ChromeMate and claim it ‘uniquely combines the benefits of chromium and niacin into a single mineral complex‘. Out of curiosity I compared this to Valentus’ SlimRoast product (remember, Advanced LLC manufacture both products). Valentus’ SlimRoast product also contains garcinia cambogia (albeit at 50% HCA) and “Chromium as Polynicotinate”. Lo and behold, Chromium Polynicotinate is just a combination of chromium and niacin. So basically we’ve got the same active ingredients in both coffees, sans 10% HCA. The question is are you even going to notice? While I can’t definitively answer that, what I did notice is that Vitae Global’s Lean Java Bean costs the same per box as Valentus’ SlimRoast. You’re getting an active ingredient with 10% more HCA for the same cost. If Louis Volpe and Advanced Labs were a neutral third-party supplier, this wouldn’t be a problem. I don’t know the specifics of their supplier agreement, but I imagine Valentus could just negotiate the better ingredient(s) are used in SlimRoast. Here’s the thing though, Volpe is a co-founder of Vitae Global. Does the vested interest in Vitae Global having an edge over Valentus edge out his vested interest in seeing Advanced Labs retain its Valentus supplier contract? Furthermore, what does the quality of Advanced Labs’ Lean Java Bean product have on other supplier agreements? Either way there definitely appears to be some conflict of interest issues there. With respect to the MLM industry, the bottom line for now though is that Vitae Global are offering a more powerful version of Advanced Labs coffee for the same as Valentus’ are charging. What with SlimRoast being Valentus’ flagship product offering, the potential effect on Valentus if Vitae Global affiliates use this fact in their marketing remains to be seen. Looking at the bigger picture, you’ve got a recruitment heavy comp plan with chain recruitment, mandatory affiliate autoship and $1000 affiliate packages tied to income potential and retail incentives. Lean Java Bean is better priced than competitors but the personal development courses seem out of place. Some retailing is required but clearly it’s not enough. That and ultimately no matter how much retail volume is generated, it’s still going to be overshadowed by compliance issues in the rest of the compensation plan. It’s still early days to Vitae Global do have time to address these problems. Don’t count on it though, as the company already appears to have attracted a certain type of MLM marketer. At least based on the Vitae Global affiliate marketing material I went over for this review. There’s an old Chinese saying: “old wine, new bottle”. Got it, thanks. Will publish a writeup either later today or tomorrow. This company is scam. Don’t do it. They said they would have original coffee and they lied. That coffee does not work and supercitramax studied on rats. Yeah they use Valentus testimonies and after pics to promote there crappy lean java bean coffee. It makes you crave sugar and it doesn’t work. We were told they had the original SlimROAST coffee formula, that was a lie. Yes. They advertised that we have the original coffee that valentus had all over Facebook and that is not true. They are telling people that they lost all this weight on Lean Java Bean and they didn’t. It’s a lie. You get weird emails about being moved to a new leg and they tell you to ignore it. Some people never got all the products they ordered like training and travel cards. There is something not right with that company. That doesn’t excuse MLM compensation plans that focus heavily on affiliate autoship recruitment. The product works uh? In 2 months, yes 2 months where are the before/after picture that are results from Lean Java Bean? It is well known that people that consumed the original SlimRoast had staggering result pictures in a short amount of time. The only pictures produced are the pictures that are their weight loss results from using the original slimroast product from Valentus. There is evidence of that all over social media. Furthermore, rumor is the formulator is going to resurrect the silver packets (original slimroast formula was in silver packs). Now, can anyone explain why there would be the need for this if the Lean Java Bean is truly the original formulation that Vitae and their leaders, including CEOs advertised? Bottom line, it was a lie. So what else is a lie? You can fool some people but not all the people. I’m sure the FTC would love to have those pictures with Vitae leaders posting income claims…oh wait I think they do! BUSTED! True! CEO Jane Gallenero Lee, Steven Michelluci, Angela Foreman, and others from the entity owned and controlled by Louis Volpe, Team Success, LLC, are using old pic of themselves from their SlimRoast success days! They (Lean Java Bean) are claiming the new coffee is the old stuff they’ve lost weight with, SlimROAST Coffee by Valentus, so the pics are not misleading… So by their own words this only reinforcing the charges made against them! Got news via Twitter via Facebook that Vitae has closed shop in UK as they won’t change their label to conform with UK advertising standards or something like that. Ouch, just before Christmas too. Standards regarding selling products via weblink if the product was NFR. They confirmed it didnt matter how it was sold, if you receive any bonus or commission from that sale regardless of weblink or not you would be breaking the law. This is the 3rd company in 4 months I have watched lie and destroy their reps income. UK compliance and registration costs money so from where I am sitting they are happy for you to keep making it for them by putting yourself at risk but they are not prepared to invest any of it back in to help you. Keep in mind Xerveo merged with Vitae, both these MLM company’s have shady history! Jane Lee, who spammed Valentus along with Mr Volpe and his success team, and now the founders of Vitae who recently merged with Xerveo, Jane Lee is mention in this statement below! I wish I had found this website last year before I bought this stuff. The coffee tastes nasty, like cheap instant coffee! I thought I was dealing with a reputable person, who promised me she would buy it back if I didn’t like it. When I told her I didn’t care for the taste, she reneged on her promise. Buyer beware!